Computers have sure come a long way since I sold them in college at our local Sears store. And they sure are a lot easier to use than they were too. Desktop and laptop computers are used in nearly all parts of life now: at work and at home. Many seniors have embraced computers but some still have a fear of the technology. Here is a guide to finding the simplest laptop for seniors who are afraid they can’t learn or that they may mess something up. Social Media. Staying in touch with family and friends is important. Computers and social media sites allow seniors to see pictures of the grandkids who now live 3 states away. They are able to stay involved in the lives of their families and not feel as alone and sheltered. Recipes. For seniors who enjoy cooking and experimenting in the kitchen, the internet offers millions (maybe even billions!) of recipes. All these can be at their fingertips through a simple Google search. Email. More and more businesses want to communicate with their customers through email. Having an email address is becoming necessary and hard to avoid. Games. Many of the games seniors like to play are available in electronic versions. On a computer, these games are easier to play because they are easier to see in many cases. Discounts. I know that my grandmother loves nothing better than a good discount. Searching online for the best prices and reviews is a computer activity that seniors will love. Paying Bills. Many seniors love the ability to instantly pay bills online. This can be especially helpful to those on a fixed income who have to manage a tight cash flow. Work at Home Jobs. Some seniors have taken up working at home for extra part-time income. Computers are usually a requirement of this type of work. 1. How will the senior be using the computer? Will the senior be primarily using the internet? Is there a need to run additional software like word processing or spreadsheets? Will the senior use the laptop for gaming or processing images? Are USB ports needed for connecting other devices like cell phones or Mp3 players? 2. What level of computer experience does the senior have? Another major consideration before choosing a laptop computer is the experience level of the user. Novice – Can perform basic functions like opening a browser window and using Google. 3. What are the senior’s physical limitations? Adaptations can be made for computer users with physical challenges and medical problems. Vision – does the user have any difficulty seeing small print? How about dimly lit screens? Hearing – Is the senior experiencing hearing loss? If so, at what level? Physical – does the user have arthritis or weakness in their hands that makes typing or using a mouse difficult? 4. How much does the senior have to spend on a new computer? Laptop computers vary greatly in price depending on the included features. Basic, simple laptops are available for less than $300.00 now. Good, budget options exist for well under $500.00. Middle range well-equipped laptops are under $1000.00 with higher end systems over $1000.00. There is a lot of jargon and terminology that go along with computers and tablets. Most of it is easy to understand once you learn some of the basic terms. For the purpose of this article, I am not going to get too technical. My goal is to give you enough understanding to be able to compare options. Just what you need to know for buying the simplest laptop for seniors. Operating System – Operating systems are what makes the computer be able to function. There are a few major operating systems (OS): Chrome OS, Windows, and Mac OS. A detailed comparison is more than you need to know for this discussion. But, I recommend the Chrome OS for simple to use laptops for seniors. Here is why for those who want to compare in detail. Processor – this the brain of the computer and the type determines how fast the computer is. Most computer processors on the retail market are made by AMD or Intel. This article by iFixit.com really gets into the details and differences among processors. For simple laptops, the processor is not a major factor. RAM – this stands for Random Access Memory and is described in Gigabytes (GB). It’s the temporary storage of the computer and is where programs and files are stored while the computer is running. In today’s environment, look for a minimum of 4 GB. Seniors with more advanced computer skills may need 8 GB or more. Storage – this is where the computer programs are stored and is usually expressed in Gigabytes (GB) and even Terabytes (TB). Most computers still use hard drives which is a moving device in the computer that stores the files. Newer technology is Solid State which stores files on chips inside of the computer. Most of the more simple laptops use internal, solid-state storage. Computer Hope does a great job of explaining the differences in storage devices if you want more details. Screen resolution – this indicates the clarity of the computer screen and is described by #### X ###. These #’s are the number of pixels in the width of the screen by the pixels in the height. The higher the numbers, the better the resolution. Look for HD screens around 1920 X 1080. Weight – laptop computers vary greatly in how much they weigh. Look for lighter weight laptops, especially for seniors with weakness. I recommend ones that are 4 lbs or less. Screen size – laptop computer screens are measured diagonally like TVs. So, a laptop with a 17″ display screen measures 17″ from one corner diagonally to the opposite corner. For most seniors, you will want a screen size of at least 14″. Stay away from the new 10″ and 11″ models – these screens are much too small. Also, a backlit screen is clearer, brighter, and easier to see. Battery life – indicates in hours how long the batteries will last between charges. The longer the battery life the better BUT long battery life may require bigger batteries which will make the laptop heavier. Sound – the quality of speakers on computer laptops differs from model to model. Higher end “gaming” laptop computers have the best sound systems. Don’t get too hung up on this though. The sound on laptops can be supplemented by using headphones or plugging in external speakers. Check out the best headphones for seniors here. Keyboard buttons – this is very important for seniors with bad vision or arthritic joints. Look for big buttons with big, bold letters that are easy to read. Amazon also sells keyboard stickers to put onto the keys that are helpful for people with low vision. 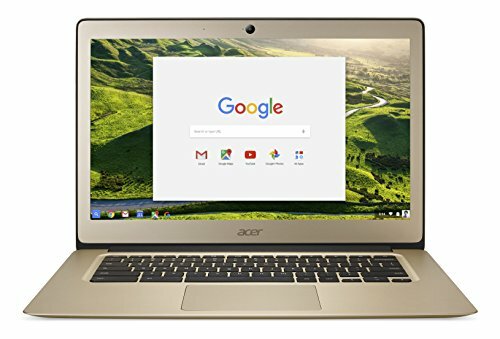 After studying and reviewing the many laptop options, I am recommending the Acer Chromebook 14 as the simplest laptop for seniors. Chromebooks use a very simple interface and are a much easier system for elders and seniors to learn than Windows. This laptop has all the basic features needed for using the internet, storing pictures, and other simple functions. The screen is 14″ on the diagonal which is roughly 11-1/2″ wide by 8″ high. It is also extremely lightweight and easy to carry. While you are researching laptop computers for seniors, you will run into terrible reviews of Chromebooks. But, keep in mind the intended uses. Typical complaints about these computers are that they are too simple. However, that is exactly what we are looking for seniors and elders. 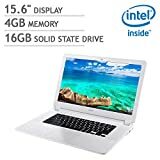 People buy these because they are cheap laptops and try to load them down. They were never designed to do this. Images, Ratings, & Prices from Amazon Product Advertising API - Updated on 2019-04-22 at 20:06 - contains affiliate links (see footer). 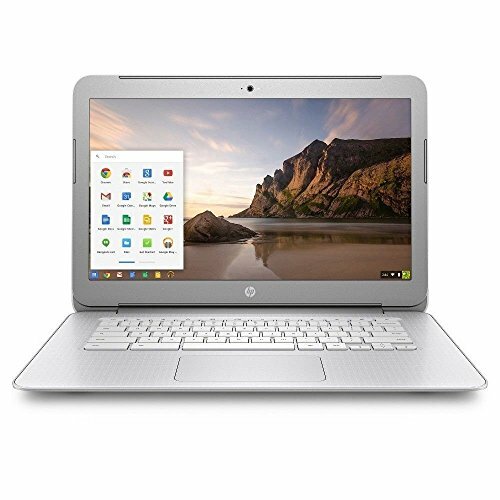 I also like this HP Chromebook 14 for seniors and elders who just want a simple laptop computer to use for internet and social media. It’s lower priced than the one above but also has fewer features. This laptop has half the storage of the Acer Chromebook which isn’t a big deal unless the user will be saving a lot of pictures. The screens are about the same size BUT this one is not backlit. That could make a big difference for a senior who is having vision problems. The battery life is a little less too. But, again, this probably isn’t a big deal for most elder and senior users. For seniors and elders who have low vision or need more features, I recommend the Acer 15.6″ Flagship Chromebook. To help with bad eyesight, this easy to use laptop has a larger 15.6″ screen that is full HD quality and is also backlit. 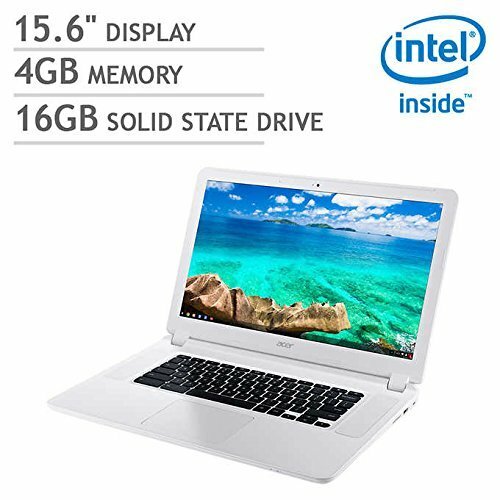 This is a powerful combination of features in a sub $300.00 laptop package. It has my other recommended features too. This laptop is a bit heavier than the others – about a pound more. But, the weight comes from the larger size which is the main benefit of this laptop. Images, Ratings, & Prices from Amazon Product Advertising API - Updated on 2018-04-03 at 16:34 - contains affiliate links (see footer). A keyboard with large keys with bold print. If not available, grab a set of keyboard stickers from Amazon. Use an actual mouse instead of the pad on the laptop. Here are a few recommendations for seniors with arthritis. If you have any questions or recommendations of your own, please share them below! As always, questions are welcome! Thank you so much…….to give us such type of valuable information……and specially i would like to thanks because i got so many help from this site………and i wish you best of luck…….. The chrome book is too small and has a cell phone interface so it’s fairly confusing to seniors. There are actually computers just for seniors. Wow, telikin and A Plus Senior are all ready to go. The wow and telikin (there actually the same computer uses a Linux system so it’s closed, no adding programs and has basic software. A Plus Senior uses Windows so it’s compatible with all software and printers. Even though they use Win10 they configure it with a Windows 7 look and feel.